Ask fellow campers about "Life Northwest RV & Lodging (formerly River Life Resort)" and nearby attractions. We stayed 4 nights for RV appointments in the area. It appears a church purchased a closed RV park & removed most of the park to install the church facilities, parking lot & a motel. What remains is an older aging basic park that needs some updating to the infrastructure. The park is a short drive from US 99E along a city street. It is located in town but Harrisburg is small with only limited services. The interior roads are paved. They wind through a church parking lot to reach the office then back through the parking lot to reach your site. Some of the turns are tight making maneuvering larger RV's a little challenging. Most of the sites are back-ins with only 4 P/T's. The P/T sites looked long enough to say connected to a toad. The staff described use of the P/T's requires shuffling around until one opens up. The RV sites are narrow & there isn't much distance between the sites but there was sufficient room to open slides. The parking pads are concrete some of which are breaking up. This park seems to understand the simple concept of the importance of a flat, level site as the sites were generally level and flat but some had a slight slope. They have full hook ups - water, electricity (50/30/20 AMP), & sewer. The utility connections were towards the middle of the sites. The sewer connection was at ground level making it easy to establish a downhill flow depending on discharge point. Sites offer no amenities & little outdoor space. Fires are prohibited but there is a common fire pit on the SW side of the grounds. Distance establishes privacy between the sites. Site orientation of some sites allows RV's to cast shade onto the patio side. The landscaping is new but there is an existing line of trees on the South side of the grounds which could interfere with satellite reception depending on site assignment & dish configuration. No cable. The park brochure made no mention of broadcast channels. Didn't try to get any OTA channels. We camped at Life Northwest RV & Lodging (formerly River Life Resort) in a Motorhome. Sites 1 to 15 most likely too far from the WiFi transceiver for reception. The 4 P/T's & sites 68 to 71 likely close enough for WiFi reception. Rate based on weekly stay @ $230/week. FHU, pull through site. This resort is listed as closed on some internet search engines,but it was purchased by a church and is open for business. No cable TV but WIFI was good when it worked (most of the time). Although this park is right next to the river there is no river access from the campground and no view either. We had several days of strong wind from the north so I would not recommend leaving your large awning out while the RV is unattended. We stayed here mainly for windshield replacement for our rig in nearby Coburg and to visit with an old friend, otherwise we would probably have continued on up north. We camped at Life Northwest RV & Lodging (formerly River Life Resort) in a Motorhome. Harrisburg is a small town of 3000. Eugene is nearby with all the shopping necessary if you need larger stores such as Walmart, etc. This area is good for biking, kayaking and fishing. We just stumbled on this park when we were waiting to get some work done on our Country Coach in Junction City. The pads are level and the park is well maintained. They apparently do no advertising since we found out about them from the receptionist at Country Coach. The park is part of a large church campus. There were no trees which was not a problem when we were there. They have a small pool and spa and the setting is right on the Willamette River. We would stay here again and use it as a base camp to explore the area. We camped at Life Northwest RV & Lodging (formerly River Life Resort) in a Motorhome. Great breakfast cafe in Harrisburg. Changing the name from Jakes to Molly's in November. Nice wineries in the area and boat excursions on the river are available. Where do we start? We knew there was construction going on at the park, but when we arrived there was only a sign with a phone number to call to register. What they needed was a sign that told motorhomes not to proceed further, or they couldn't turn around without great difficulty. After we called to register, we were given a space and told to walk to the office to pay after we set up. We were about a third of the way into setting up, when a young man showed up at our coach, wanting to know if we had paid yet. We had reservations, and we called, so what was the rush? At the front desk we were told there was no internet or cable, yet they still charged the full price, even though we would have to put up with all the construction and traffic. Huh?!?!? One of the park employees drove so fast, and insisted on passing the construction equipment at a high rate of speed, that he almost took out my wife and two small dogs. When we complained about this, we were met with a shrug of the shoulders. As we understand it, this park has been bought by a church. The main building will house the church, but they will still have limited RV spaces and the hotel. They had better wise up fast about how to run an RV park and treat their customers, or it will be a short run. We will definitely never stay here again. We camped at Life Northwest RV & Lodging (formerly River Life Resort) in a Motorhome. This park is under construction. According to the check in office this construction will continue at least another year. The driveway is one way in and the same way out, dead ending in front of the registration office. This requires you to unhook your tow vehicle, turn your rig around in a confined area. Then go park to your assigned pull thru site and hook your tow vehicle back up. Park spaces are fine, utilities are good, some of the concrete pads are broken/breaking. We camped at Life Northwest RV & Lodging (formerly River Life Resort) in a Motorhome. As others have said, the parking pads are cracked (probably due to lack of rebar). Being built on ex-farm land, it's not too surprising. Virtually all the pads have cracks in them, but very few are unusable because of it. I only saw three that I wouldn't be willing to park in, if my rig fit. Some did have gravel filling in the depressions in the concrete. Otherwise, the area was well kept and the lawns between sites were mowed weekly. There are zero trees, fire pits or picnic tables. On site propane sales were the cheapest I found anywhere ($2.25/gal). There was construction going on that eliminated the use of many of the pull-through sites. Most will be permanently eliminated since the church being built is going on them. Still, the park was never full while we were there for a week and there were always pull through sites available during that time. Staff was friendly. We would stay again, if we were in the area. The reason it went into bankruptcy earlier is probably due to being so far out of the way from freeway access. We camped at Life Northwest RV & Lodging (formerly River Life Resort) in a Fifth Wheel. Current reviews are accurate. We experienced significant construction. Cable was basic, not HD. Wi-Fi was average. There is very limited access to the river. Hot tub was available. The sites were paved and level. Good rate for an overnight. Utilities were good. This would be a nice economical spot to visit Eugene or Corvallis. 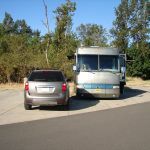 We camped at Life Northwest RV & Lodging (formerly River Life Resort) in a Fifth Wheel. Stayed for 8 nights. Park is in two sections - near the entrance all sites are back-in while at the back of the park there are pull-throughs. Cable TV did not work, Wi-Fi was poor, and garbage dumpster was located at the far end away from the entrance area. Pull-through sites appear to be saved for Class A motorhomes, while pull trailers and 5th wheels are placed at the entrance closer to the highway and railroad. Park appears to be in the development stages - and has been for quite sometime. We camped at Life Northwest RV & Lodging (formerly River Life Resort) in a Fifth Wheel. It's a work in progress. It's going to be the Life Bible Church. There is a hotel available as well as RV sites. As the previous reviewer said the grass is currently dead and the facility is a construction site. All sites are concrete slabs and the hookups are almost pristine. The pool was clean and ready for use. River access is available for pedestrian access. We ended up here due to waiting too long to make reservations closer to Eugene/Springfield OR. We typically spend our days out and about so it's not so bad for us. After all everything is paved and fully functional as well as clean. Quiet. Very quiet here as there is no road noise. Would we stay here again? Probably not 1st choice. But if we needed to stay in this area and couldn't get in elsewhere then yes we would stay again. We camped at Life Northwest RV & Lodging (formerly River Life Resort) in a Travel Trailer. This park's web site does not represent the park's current condition. They have torn up around 50% of their sites to build a new church onto the lodge. They have closed the bathrooms in the lodge. They are now using 1 hotel room, and one partially finished bathroom in the back of the laundry room. All of the grass between the sites is dead. Construction starts at 6:45 in the morning. When registering you have to back up to turn around to get into your space, as their pull through road has been torn up for the church building. The pool looked nice at first glance. However, when we went to use it there was algae growing on the stairs that you could rub off with your foot. There was no smell of chlorine like you would expect in any public pool. The hot tub was large, and appeared to be full of sand. It turned out to be needing refinished and not really sand in the water. We were there at a busy time for the Eugene area looking for something quiet and peaceful, we were very shocked by the state of the park. When we expressed our concern at check-in the manager copped an attitude, stating the park was fully functional. There are no picnic tables, shade, or places to relax other than inside your rig. The Wi-Fi only worked inside of the lodge and was very slow then. The cable had a fuzzy connection. I highly advise taking these things into consideration before booking. We were lucky enough to get a manager at another park to move sites around on their books to make space for us at a good RV park. River Life Resort is far from a resort. It's certainly not as advertised. We camped at Life Northwest RV & Lodging (formerly River Life Resort) in a Travel Trailer. We have stayed at this park several times over the last four years. Four years ago it was a very nice new park on a river. Now it is a mess. The park has been bought by a church and they have construction going on covering most of the pull-through sites. Maybe 40% of the area total of the campground. When they built this park about five years ago the cement for the slabs were not done correctly and now they are nearly all severely cracked. The water here tastes terrible. I drained the tank at the next place we stayed. Plus do not hook up to the water here without a good working pressure reducer. I have an almost new pressure reducer that is the most common brand from Camping World and other suppliers and even using it the water pressure here burst 4 holes in our pipes. Fortunately the factory that built our motorhome is five miles from this place so we were able to get the breaks fixed the next day. 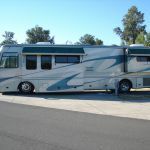 We have never had a problem at 100 other RV parks we have stayed at in this coach. I have a high end adjustable Watts regulator on order. The park is fairly quiet and is on a nice river. Most of the people staying here are workers that have local jobs. When we were here for three nights there were maybe 6 regular campers. 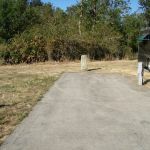 We camped at Life Northwest RV & Lodging (formerly River Life Resort) in a Motorhome. Rate is for a 50 amp FHU, back-in site. Roads and pads are concrete, several sites in the pull-through area are badly cracked, but the back-in sites are in good condition. 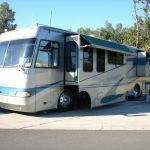 If you come here thinking it is a resort you will be disappointed, but if you are looking for a an RV park in an area where there are many facilities to service, repair, or remodel your RV, this is an excellent place to stay, which was what we used it for. We would stay here again if in the area. We camped at Life Northwest RV & Lodging (formerly River Life Resort) in a Motorhome. The RV spaces in this park are being greatly neglected. Many are severely cracked and some have completely caved in. They have dumped a bunch of gravel on those sites. Of the 12 pull-through sites, only 11 are usable because there is no water at the one site. The perimeter sites are too narrow to put out your slides and park your car in the designated area beside your rig because your car will touch the slides on the rig parked next to you. The laundry has been created from one of the rooms in the motel. It is partially unfinished, has 3 washers and 3 dryers, of which only 2 dryers work. The smell from the Harrisburg Sewage Treatment plant about a half mile away is constant and ruins any time you may want to spend outside. This place may be all right for one night while you need work done at some of the repair facilities in the area, but if you are expecting this to be a true resort as the name implies you will be greatly disappointed. We camped at Life Northwest RV & Lodging (formerly River Life Resort) in a Motorhome. We travel in a 45 ft motorhome with a trailer and it is difficult to find parks that can handle our 69 ft unit without unhooking. This park can handle it and the staff was very friendly. It is a quiet park and very neat and clean. The sites are concrete and the streets are paved. We definitely would stay here again. We camped at Life Northwest RV & Lodging (formerly River Life Resort) in a Motorhome. Are you affiliated with Life Northwest RV & Lodging (formerly River Life Resort) ?